SamanTree Medical is proud to announce that it has earned the 3rd place award of the Prix Strategis 2018. 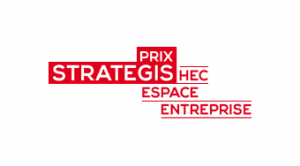 Awarded every year by HEC Espace Entreprise for the last 25 years, the Prix Strategis aims at rewarding the best Swiss start-ups. In 2018, 70 start-ups were evaluated by a qualified jury composed of influential professionals and leading figures of Western Switzerland. Evaluation criteria include innovation, product development, expansion capacity and potential for the Swiss economy. Congratulations to Monito and Eyewear, who were respectively attributed the first and second place awards. Click here to learn more about the Prix Strategis.